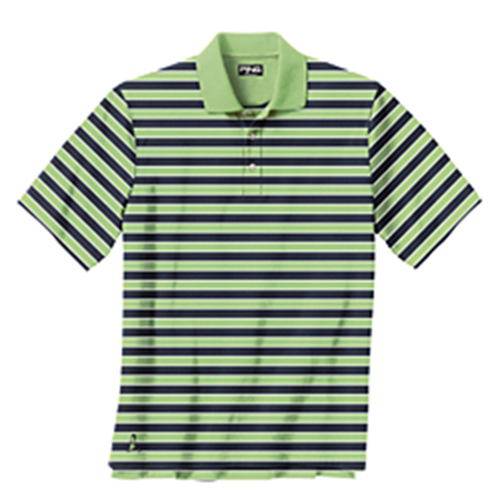 Ping Looper Polo - Lime This shirt has the hand of mercerized cotton with the performance of moisture wicking polyester. PING embroidery on right sleeve and Mr. Ping at hem. P3 Fabric Technology. 70% mercerized cotton and 30% Performance Polyester.